For National BFF Day on June 8, celebrate your IRL (in real life) and online besties! As technology plays an ever-present part in our everyday lives, we were curious to know how many people are meeting their best friends online in addition to real life. We surveyed more than 3,000 Skouters and found more people are meeting friends in general online than ever before -- and this extends to finding a bestie! While 70% of people surveyed say they have an IRL best friend, nearly half (48%) of people say they have a BFF they met online. Women are more likely than men to have a BFF they met online. 52% of women surveyed say they have an online BFF, while 46% of men say the same. People under the age of 30 are only slightly more likely to have an online BFF, but not by much! Don’t assume that online friendships are a Millennial thing … 51% of people age 30 or under say they have an online bestie, compared with 44% of people ages 31-40 and 49% of people ages 41 or older. 23% of people surveyed say their online BFF lives in a different country, and 28% say their online BFF lives in a different state. 50% say their online BFF lives fairly close, with 25% saying they’re in the same city and 25% saying they live in the same state. Many people have met their online BFF, IRL. 45% of people surveyed say they have met their online bestie in person, and 93% say they want to meet their online BFF IRL someday. IRL or online, friendships are about caring. 70% of people surveyed say the best gift from a friend on BFF Day is a heartfelt message or chat session. Only 30% would prefer a gift. Check out our Skouters who have met their online besties via SKOUT! “He's a friend that is worth keeping,” Jeph says. “We talk most of the time,” Jakob says, and the two friends plan to meet in person someday. “I talk to them every single day!” Lucas has said about some of his SKOUT friends. “I started to meet people both local and international,” says Pongchuwala. She found Skouters with whom she shares interests on Buzz and Meet, and they stayed up late chatting. Celebrate your SKOUT besties with a free BFF! Badge! This badge can be found in the Badges category of the Gift Store. Not sure how to give a gift to a fellow Skouter? Click here to learn how! Skouter Lady Toro (SKOUT ID: ladytoro1) has been making friends on SKOUT for three years. In July 2015, she noticed River (SKOUT ID: river1175) on the Buzz of a mutual friend. “Her sense of humor was spot on, and I knew immediately she was a cool chick,” remembers Lady Toro. River sent Lady Toro a private message, and they clicked right away! “Same sassy and snarky sense of humor,” says Lady Toro. Lady Toro lives in Amsterdam, and River is thousands of mile away in North Carolina, but they don’t let the time difference get in the way of their friendship. They even plan to meet in person this year! If you have a SKOUT success story you’d like to share, shoot us an email at successstories@skout.com. Laura returned home from a particularly bad day at work a few months ago when she decided to download SKOUT to take her mind off her stress. She noticed Seth’s profile right away on the Meet screen and sent him a Wink. Seth responded, and they hit it off from there! That was back in September. A month later in October, they decided to meet in person at Walt Disney World in Florida. Laura made the trek from London, and they ended up spending the entire week together! After returning to England, Seth and Laura decided to give a long-distance relationship a try. They became inseparable and have since decided to get married. Laura has moved to the United States to be with Seth, and their wedding date is set for Jan. 1, 2017 in Walt Disney World to celebrate the day they met. Congratulations to Laura and Seth! Have you met a friend or started a relationship on SKOUT? If so, we’d love to hear your story! Shoot us an email at successstories@skout.com. Alyssa and Marina connected through Shake-to-Chat. They started chatting and really getting to know each other. Then Alyssa met Jay through the Meet page. Now Alyssa chats with her good friends regularly. Alyssa doesn’t have any immediate plans to meet Jay and Marina in person -- they live far from one another -- but she would like to eventually. Have you made new friends on SKOUT? Please email us at successstories@skout.com. Edwin saw Anna on SKOUT and liked her profile and photos. After chatting a while, they decided to take their new friendship a step further and meet in person. “It was a cold day, but it was nice to find someone to talk to for a while,” says Edwin, who still stays in touch with Anna. Edwin has since met a few more people on SKOUT. “I am very happy with this site,” he says. Have you met a new friend on SKOUT? Please email us at successstories@skout.com. We love hearing about the friendships made on SKOUT! Skouters from all over the world tell us about the friends they’ve made -- whether they’re people nearby whom they now hang out with in person or people in different cities or even countries with whom they chat regularly. One thing they have in common: Most people say they never would have met if it hadn’t been for SKOUT. Have you made new friends on SKOUT? Please email us at successstories@skout.com. Tell us your SKOUT Success Story at successstories@skout.com! Nastassja was browsing Meet on SKOUT when she came across Tara’s profile. It turned out Nastassja and Tara have a lot in common. And now, despite living in different countries, they’re good friends who chat every day! Have you made a new friend on SKOUT? Please email us at successstories@skout.com. One day Skouter Lucas posted a Buzz that Jackie thought was funny, so she commented on it. Lucas then sent Jackie a chat, and they hit it off! “We just clicked as though we've known each other for years!” Jackie told us. Now Jackie and Lucas talk at least once a day. Though the friends have not met in person, they plan to someday. “I’m honestly not too sociable of a person,” Justin told us. So his friends encouraged him to try SKOUT. Once Justin joined SKOUT, he made a few Buzz posts and started meeting some cool people. Now Justin chats with a handful of SKOUT friends on a regular basis. “I call one every now and again,” Justin says, “and just have a good time doing what we love: gaming. “I have made so many friends on here, and my experience has been amazing!” Jakob told us. One friend Jakob made in particular is Faith. They noticed each other on Buzz and started chatting. “Thank you so much for this app!” Jakob says. Have you met new people on SKOUT? Please email us at successstories@skout.com. Want to learn about different cultures? You can meet people all over the world with SKOUT, just like Jeph and Alex! Jeph is from the Philippines and Alex from Mexico. They connected on SKOUT several months ago and have been chatting ever since. Jeph and Alex talk about everything, from the history and similarities of their countries to their families to their careers. There’s never a dull moment in their chats, Jeph says. Jeph and Alex keep in touch through chatting and video-calling. They plan to meet in person soon. Have you met a good friend on SKOUT? Please email us at successstories@skout.com. Calling All Friendship Success Stories! What do Lady Toro and River, Lucas and Pongchuwala have in common? They all met great friends on SKOUT! Have you met a good friend on SKOUT? If so, we want to hear your story! Shoot us an email to successstories@skout.com. We are interested in what makes your SKOUT friendship special. Is your SKOUT friend the one you can talk to about any of your problems? Are they the person you share hilarious inside jokes with? Are you planning a trip to meet your SKOUT friend in person? We’re looking forward to hearing your story! If we choose to feature your success story on the SKOUT blog, we will deposit 500 points to your account! Thank you for sharing your story with us, Darrion! If you’ve met a friend or kindled a romance on SKOUT, we’d love to hear about it! Shoot us an email to successstories@skout.com. Shirley had been a member of SKOUT for only one week when Blake sent her a message back in January 2013. They began chatting, sparks flew and their friendship quickly developed into an online romance. Blake travelled from Louisiana to meet Shirley, who lived in the Philippines, seven months after they began chatting. They hit it off in person, and after Shirley had the chance to visit Blake in Louisiana a couple of times, Blake proposed in December 2014. It’s been five months since they tied the knot, and they’re living happily in Louisiana. Congratulations, you two! If you’ve met the love of your life or a close friend on SKOUT, we’d love to hear from you! Shoot us an email at successstories@skout.com. For Joyce and Gilbert, the path to love ended happily when they used Skout’s Shake to Chat feature to meet new people. Both of them signed up for SKOUT to find a love interest and were members of the community for about a month each before finding each other. They chatted, emailed and Skyped for nine months before Gilbert flew to the United States to meet Joyce in person. A few months later, they got married! It’s been a year and a half since they met on SKOUT, and they’ve created a blog documenting their life together. Check it out! Have you met that special someone on SKOUT or have a friendship story you’d like to share with us? Send us an email at successstories@skout.com. February 3rd marks the second annual International Online Friendship Day! We kicked off this momentous holiday last year and are psyched to be celebrating it again a second time around! More than 75% of people have an online friend they’ve never met in real life. The United States, United Kingdom, Brazil and Malaysia where over 35% of respondents have more than 10 online friends. Online friendships span the globe. There you have it. Online friendships are increasingly becoming a thing. Even the experts agree! We couldn’t agree more! Whether you’re the newbie in town looking to make new friendships or simply want new people to chat with, you can find genuine friends online. We’d like to give a special shout-out to our Skouters who shared their success stories with us. Thank you for the stories and enthusiasm about your online friendships! Back in October of 2014, David (SKOUT ID: davidrf87) joined SKOUT to improve his English skills and meet new people. He used SKOUT Travel to check out the scene in Tokyo and met Yoshimi! They hit it off right away and soon developed an online friendship where they were chatting every day. Sparks flew and their friendship soon grew into a romantic relationship. Almost a year into their online relationship, David traveled from his home country, Spain, to Tokyo to meet Yoshimi in person. After spending two months of quality time together in Tokyo, David and Yoshimi got engaged. Rih and Salar began their online friendship on SKOUT about a year ago when they encountered each other via SKOUT Travel. Salar initiated the conversation by sending Rih a chat message. They keep up their friendship via chat on a daily basis, despite the distance between them. Rih is in the Philippines, and Salar is in Canada. “He’s always there for me, and I’m lucky to have him as a friend,” says Rih. Do you have the best online friends ever? Share your appreciation for them by giving a friendship badge from the Gift Store. They’re free during International Online Friendship Day! These badges are located in the Badges category of the Gift Store. Giving a gift is super easy! Tap here to learn how. Help Us Gear Up For International Online Friendship Day! Do you have an online friend you've made through SKOUT? International Online Friendship Day is next month, and we’d like your help gearing up for this awesome holiday! SKOUT lets you make Online Friends (OFs) with people who are a chat message away, even if they’re in other countries! Lucas, Savannah and Antonio, Julius and this Skouter all made OFs through SKOUT. Lucas even saved up for a trip to Europe to meet each of his OFs in person! What OFs have you made on SKOUT? We want to hear your story! Send us an email at successstories@skout.com and we may include your success story in our campaign for International Online Friendship Day! We’re always happy to give a shout out to Skouters who support their community. Whether you volunteer your time at a local charity, join a walk to support cancer research or help a community member in need, we’d love to hear about your contributions. This Giving Tuesday, let us know how you give back. Email us at successstories@skout.com. Do You Have A SKOUT Success Story? What do Lucas, Nadia and Cedric and the group behind #Skout4Change all have in common? They met amazing friends and grew lasting relationships through Skout! Lucas met friends on Skout using the travel feature and saved up for a trip to Europe where he met each of them in person. 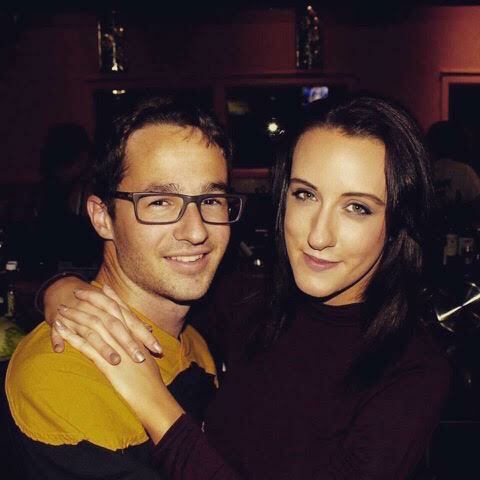 Nadia and Cedric began their relationship on Skout and are now married and write a blog together! Skouters in Manila, Philippines created #Skout4Change to raise money to help the daughter of fellow Skouter Jenny suffering from leukemia. Have you developed a special friendship or relationship through Skout? We’d love to hear about it! Send us an email at successstories@skout.com and you could be featured on the Skout blog! When 24-year-old Lucas (SkoutID: flightattendant91) joined Skout a year and a half ago, he was excited to chat with people all over the world and learn about their cultures. Lucas, who is from Brazil and recently moved from Brasilia to Curitiba, was also looking forward to becoming fluent in English and practicing the German he’d studied for years. Lucas decided to take his interests in other cultures offline, and this past summer he traveled to three different countries, where he met Skouters in person. Lucas had been saving for this big trip for three years, but he knew it was time to actually plan it when he’d become close with some people he’d met on Skout. After all that chatting, planning and saving, this summer Lucas traveled to Holland, Germany and Russia. He spent a few weeks in Holland before he headed to Germany where he met up with Dmitri. After spending eight days in Germany seeing the sights, he went to St. Petersburg, Russia. In St. Petersburg, he met up with his best friend Irina who showed him her favorite spot in the city, Peterhof Park. Ten days later he went to Moscow. There he met up with Masha and Anastacia who showed him the Red Square and the Kremlin. All in all, a pretty awesome trip! Have you met a friend on Skout? Please tell us at successstories@skout.com. If we share your tale on the Skout Blog, we will deposit 500 Points in your Skout account!